First thing’s first: why would anyone give a novel a title that rhymes with his name? 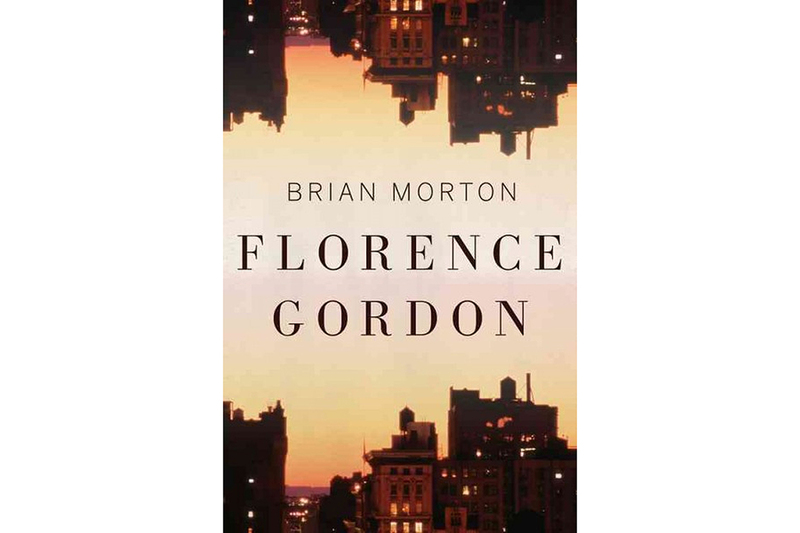 Seriously – try saying it five times fast: Brian Morton Florence Gordon. See the problem? What does that even mean, psychologically speaking? Is it some kind of Echo and Narcissus complex? Or is the brain-space surrounding his name so finely tuned that he didn’t even recognize that the rhyme was there? This is one of the many annoyances that kept me busy while I was reading this novel. First, the good things: this novel is a quick, easy read. The chapters are always short and sometimes almost microscopic – not quite “My mother is a fish,” but almost. If you read this novel, you will not have to worry your pretty little head about pesky things like characterization and description. You will be thrust into the presence of a variety of characters, and then you will be told some things that they say and do, and you will be told what you should feel about them. There may be some readers out there who would enjoy not having to figure out the characters for themselves – but don’t those sorts of readers usually just watch TV? I would also like to share with you the one sentence in the novel that I liked: “‘Jewish women,’ he said, ‘are all that stand between us and the death of the publishing industry.” The “he” in question is the title character’s new editor. I like this sentence not because I have any strongly-held feelings about the reading habits of Jewish women but because it is one of the few sentences in this novel in which it is suggested, however obliquely, that a character might possibly have a personality. Unfortunately, the new editor is only on the page for a chapter or two. I read this book because it was the inaugural selection of a new book club I recently joined. After I read the first thirty pages or so of the book, I decided that I didn’t want to finish it and that maybe I would reconsider being part of the book club. But the online chatting that went on among the book club members made them seem like very interesting people, and two days before the first meeting I picked the book up and kept reading. I wasn’t done yet when I went to the meeting this past Thursday, and I was pleased that many of the other members were turned off by the book for all of the same reasons I was, and they did in fact prove to be interesting people, so I can’t resent this novel too much, although I’ve tried. What more can I tell you? This is a novel about an elderly feminist and her circle of family members and friends. (An aside: I am also reading another novel about an elderly feminist and her circle of family members and friends – Margaret Drabble’s The Witch of Exmoor – and I am finding that novel a little tedious too, although for different reasons. That novel is packed with characterization and description and backstory, while this novel has almost none. 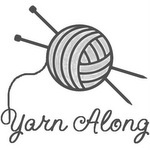 I look forward to comparing the two in a future post.) Florence Gordon is the elderly feminist, and she has an ex-husband named Saul, an adult son named Daniel, a daughter-in-law named Janine, and two grandchildren – Mark, who never once appears in the novel, and Emily, a nineteen year-old taking a break from college who persuades her grandmother to let her be her research assistant. Florence also has a circle of elderly feminist friends, an old (i.e. retired) editor and a new editor, and a doctor named Noah. Florence is in the early stages of working on her memoir when a New York Times reviewer writes a retrospective about all of Florence’s books and publishes it as the cover story on the Times Book Review. All of this is very exciting to everyone in Florence’s circle. Her ex-husband begs her to get him a job at the university where she once taught. Her granddaughter Emily keeps asking her what she will do differently now that she has been identified as a major literary figure. And her daughter-in-law, who most of the time treats Florence with worshipful reserve, pays no attention to Florence’s newfound fame because she is busy flirting and considering having an affair with her colleague, Lev. Note that I say considering an affair. This novel is about people considering things. It’s about Florence considering her memoir and Saul considering his failed career and Janine considering having an affair and Daniel considering what to do about the fact that he knows she is considering having an affair (but she doesn’t know that he knows she is considering an affair, so she is not considering what to do about his considerations, thank goodness). Emily considers snooping through Florence’s papers, Janine considers snooping through Daniel’s papers, and Noah the doctor considers Florence’s lab results, which are pointing toward a neurological disorder and a hastened, miserable death. No one else is considering said hastened, miserable death, however, because Florence doesn’t tell anyone. I tried. I really did. I assumed the author knew something I didn’t about testosterone and/or about the English language that would make this sentence make sense. But it just doesn’t. Testosterone is a noun, and can be used as an adjective only with certain nouns, such as “Today I have to take my ferret to get some testosterone injections.” Confidence isn’t one of those words that pair up with testosterone easily, although testosterone confidence could be a thing, maybe. Maybe testosterone confidence is the phenomenon that explains why teenage boys think it’s a good idea to spray themselves with so much Axe Body Spray before school dances. This book is laughable. It is worse than bad. Between the one good sentence, which I quoted above, and the one absolutely horrible one I expounded on at some length, stroll many, many other forgettable ones, laced with clichés and ambiguous pronouns and a lot of sloppy, superficial thinking about human beings. The characters in this novel shouldn’t be simplistic, but they are. The sentences shouldn’t be facile, but they are. I can’t imagine what the genesis of this novel was, since Morton seems barely to care about his characters or take them seriously – which makes it hard to take him seriously as a writer as well. This entry was posted in Authors, Brian Morton, Fiction - general, Fiction - Tedious novels about elderly feminists, Reviews by Bethany. Bookmark the permalink.